From the New York Times bestselling author and award-winning creator of Essex County, Descender, and The Underwater Welder comes an all-original graphic novel about a brother and sister who must come together after years apart to face the disturbing history that has cursed their family. Derek Ouellette’s glory days are behind him. His hockey career ended a decade earlier in a violent incident on ice, and since then he’s been living off his reputation in the remote northern community where he grew up, drinking too much and fighting anyone who crosses him. When his long-lost sister Beth shows up, on the run from an abusive boyfriend, the two escape to a secluded hunting camp in the woods. There, living off the land, they reconnect with each other, the painful secrets of their past, and their Cree heritage...and start to heal. But Beth’s ex-boyfriend is hunting them. As he circles closer, he threatens to shatter this newfound peace and pull both Derek and Beth back into the world of self-destruction they’ve fought so hard to leave behind. Touching and harrowing, this is a deeply moving and beautifully illustrated story about family, heritage, and breaking the cycle of violence. These questions can be used to facilitate class conversations about key themes and elements of the novel. Teachers may also choose to use these questions as prompts for writing activities, or can expand upon individual questions to design full lessons. 1. In the first 8 pages of the novel, we are introduced to the town of Pimitamon (from the Cree, for “Crossroads”) and the character of Derek Ouellette. In these 8 pages, what do we learn about Derek and the town? Make sure to consider information presented visually, as well as textually. 2. At various moments throughout the novel, Derek encounters a wild dog. What role does the dog play throughout the novel? How does Derek's relationship with the dog change over the course of the story? What could this symbolize? 3. What is Al's relationship to Derek and Beth? How does he help the Ouellette siblings throughout the novel? 4. Shortly after returning to Pimitamon, Beth accuses Derek of "leaving her" alone when he went to play hockey. What do you think life for a young person would be like in Pimitamon? 5. Hockey, for better and worse, has played a major role in Derek's life. What role did the game play in his childhood? What was his relationship to the game in his prime? How does the game continue to affect his life? 6. Based on the flashbacks to Derek and Beth's childhood, what role does their father play in each of their lives? Does his abusive nature have an identical effect on Derek and Beth? 7. Derek and Beth's heritage on their mother's side is Cree. Prior to moving to Pimitamon, their mom was a student at St. Anne's Residential School in Fort Albany. What do you know about the residential school system in Canada? Why do you think Jeff Lemire included this detail in the novel? 8. What motivates Derek to resort to violence throughout the novel? Is the cause of Derek's fights always the same? 9. As Derek walks through the bush in the final pages, his steps lack the "crunch" that has accompanied his movements for most of the novel. What might the noise that accompanies Derek, Beth, and others' footsteps represent? 10. The novel closes with Derek heading off into the bush, and Beth on the road to Fort Albany. What are both characters heading off to? How have their journeys been similar? How have they differed? 1. The final 9 pages of Roughneck rely heavily on visual storytelling, with text used very sparingly. 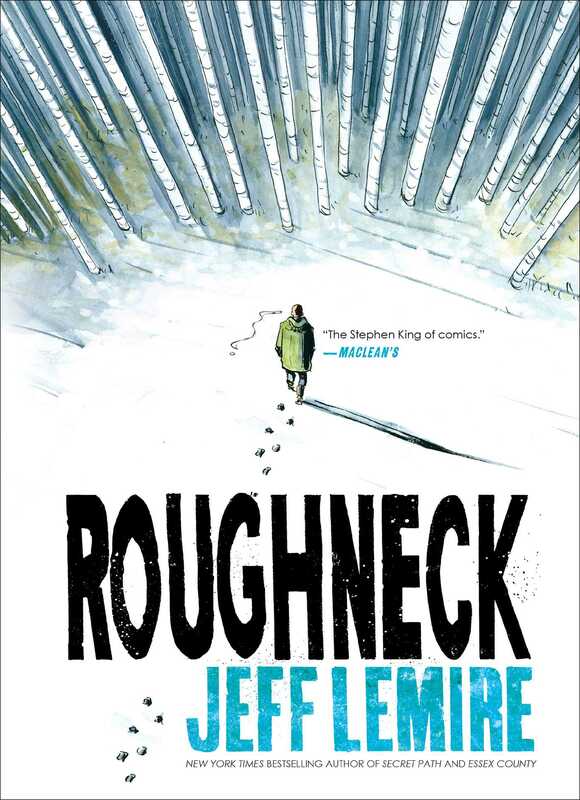 In many ways, Jeff Lemire has created an ending to this novel that both allows and forces the reader to bring the story to their own conclusion. This activity is designed to allow students to explore their individual interpretations of the novel's end, and allow them to practice and develop their own creative writing skills.Students should choose the perspective of one of the characters present in the final pages (Derek, Beth, Al, or the Dog) and write a 1-2 page conclusion to the novel from their point-of-view. 2. Working individually or in small groups, have students conduct research on a topic that will provide a deeper understanding of the plot, setting, characters and themes of the novel. The topics can be researched concurrently to reading the novel, or can be assigned after completing the in class study of the book. - Teachers may also opt to allow students to generate their own topics for research. After researching their assigned topic, students will create 5 minute presentations for the class. These presentations should summarize the key findings of their research, and should contain appropriate and informative visuals. In addition to demonstrating their understanding of the topic gained through research, presentations should explain how their research has led to a better understanding of Jeff Lemire's novel. 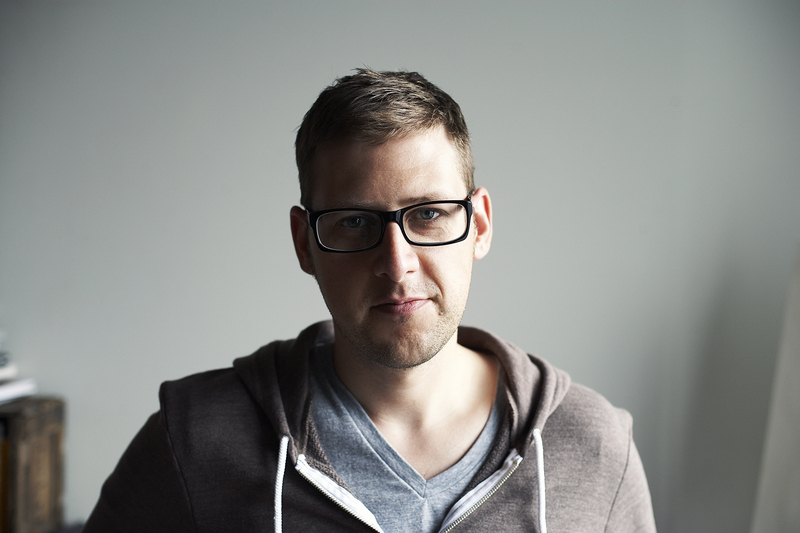 Jeff Lemire is the award-winning, New York Times bestselling author of such graphic novels as Essex County, Sweet Tooth, The Underwater Welder, and Roughneck, as well as the co-creator of Descender with Dustin Nguyen, Black Hammer with Dean Ormston, Gideon Falls with Andrea Sorrentino, and many others. He also collaborated with celebrated musician Gord Downie on the graphic novel and album The Secret Path, which was made into an animated film in 2016. Jeff has won numerous awards, including an Eisner Award and Juno Award in 2017. Jeff has also written extensively for both Marvel and DC Comics. Many of his books are currently in development for film and television, including both Descender and A.D. After Death at Sony Pictures, Essex County at the CBC, The Underwater Welder and Plutona at Waypoint Entertainment, and Gideon Falls with Hivemind Media, as well as the Eisner-Award winning Black Hammer at Legendary Entertainment. He lives in Toronto, Canada, with his wife and son, and their troublesome pug, Lola. Visit him at JefLemireComics.com or on Twitter @JeffLemire.